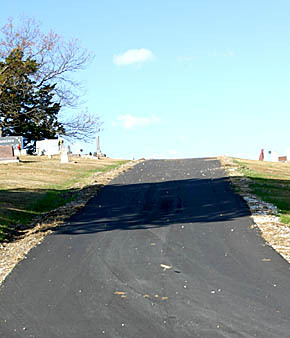 About 2,000 feet of newly asphalt paved roads have been installed at Rose Hill Cemetery south of Albion. The work was completed about three weeks ago, and paid for with donations to the cemetery. 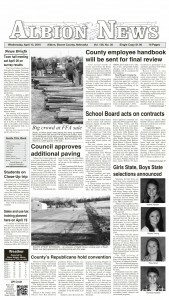 As more funds become available, the Albion Cemetery Association will continue the paving project.